RED VASZI: WD14 DMR "HADUR"
In every man’s life there are very few occasions when SIZE DOES MATER. This is one of these moments. 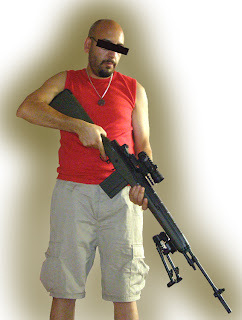 A Designated Marksman Rifle can’t be short. 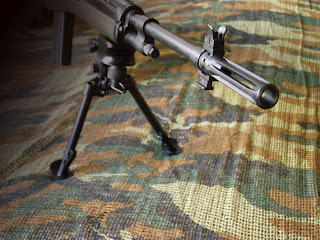 The extended length of the barrel helps for the tight groupings that every shooter desires. Ladies and Gents, after the previous 2 wonders of modern airsoft gunsmithing, I present you the WD14 DMR “HADUR”. and the last is the underworld (Alsó Világ). In the center of our world, a tall tree is standing: the Világfa, in English, the World Tree. Its foliage is the Upper World, the Középső Világ is located at its stem, and the underworld is around its roots. In some stories, the tree even has fruits: these are the golden apples. The Gods and Good souls are living in the Upper World. Gods have the same rank, although the most important figure of them is Isten (the word itself simply means 'God' in Hungarian). He controls the world, shapes the fate of humans, observes our world from the sky, and sometimes warns us by lightning (mennykő). Isten created the world with the help of Ördög ("the devil" Evil). Other gods include: Istenanya (Mother God), Hadúr (the god of war) and Boldogasszony (Blessed Mistress) and so on. The major celestial bodies (Sun and Moon) are also located in the Upper World. The sky was thought to be a big tent held by the World Tree. There are several holes on it: they are the stars. 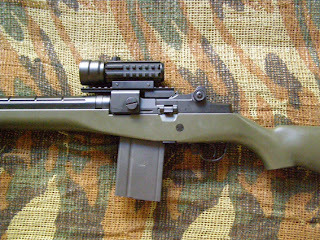 An M14 was always one of those rifles that I thought that every operator should own and work (likewise the AK, and the AR family rifles). Untill recently the choices were few and for sure not cheap. 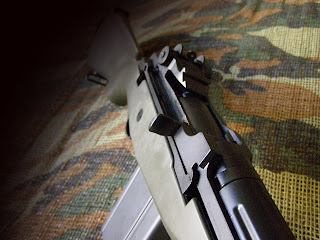 Tokyo Marui and G&G have released various versions of the M14 (fiber, wood stock, SOC 16). All of them work in the 320 fps area, which is not satisfactory for a DMR. Upgrade of these models is not difficult, but what’s the point of purchasing a 400 euros gun in order to replace all its internals? So, after years of patience, the Chinese company called AGM did its miracle. 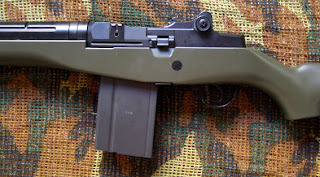 The first and best of the Chinese M14 replicas came to life…and so the saga begins. I wanted the gun to stand out with its performance. Our gunsmith advised me to stay in the 440 fps area since this is the limit for AEGs in Hungary. For sure, this number is more than satisfying but what’s the point of carrying a 5 kilo beast when the next man with his toy looking M4 could achieve the same target acquisition? It had to exceed this limit…The solution was simple. Remove the automatic fire option!!!!!!!!!!!!!!!!! This freed our hands and took us one step closer to the DM choice of weapons. The original barrel is described as tight bore on the box and it’s somehow true. The diameter is close to 6,04 mm although the quality of it it’s not the finest. It was replaced by a Prometheus 6,03mm precision one. The length of it is 50 cm, which helps a lot to the tight groupings I wanted. The original gearbox is still housing the working mechanism, since it has proved its durability so far (our gunsmith runs the same platform for a year now with no problems). 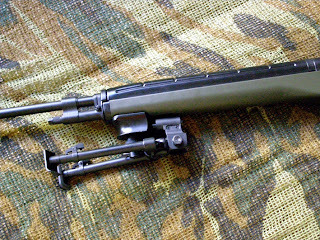 The fact that the rifle runs only in Semi Auto makes the choice of gears and battery an easier case. The gears were replaced with Classic Army Super Torque Up flat gears. 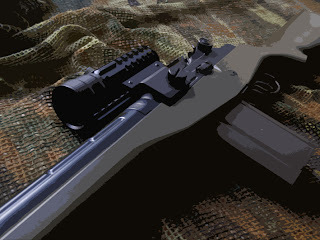 The rifle still works with an 8,4V battery when most upgraded ones need a 9,6V ones. After all these modifications the rifles gives me an initial velocity of 475 fps and an effective range of 55 meters with the maximum being around 65 meters with G&P 0,28gr BBs. Αναρτήθηκε από Vaszi bacsi στις 12:52 μ.μ. my frend you are totaly crazy!!!! 29 Ιουλίου 2007 - 11:59 μ.μ.